A bit of SEO advice for people who make machinima (videos) or write about them. Of course words make a difference in search. Everybody knows that. Your post about machinima will be found only by people looking for machinima. Machinima is a specialized term used mainly by people in virtual worlds and games. 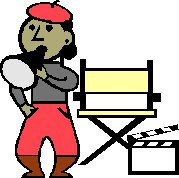 In the big world, people refer to videos or animated videos. you need to use the term video also. This week the Short Poetry Workshop presents the Retourne, a French repetition form. It contains four quatrains and each line has eight syllables.The first stanza's second line is the second stanza's first line, the first stanza's third line is the third stanza's first, and the first stanza's fourth line is the fourth stanza's first. 2016 WRITE: Immersive Edge - An immersive story told in a virtual world. Remember Myst? Immersive Edge - Remember Myst? In flat stories, you read about scenes. You may see pictures of scenes. But the pictures are still. Nothing is happening. In immersive stories, You are one of the characters. You are in the scene. You are part of the action. In some immersive stories, your choices determine the outcome. 2016 BIZ: HG: Virtual worlds, virtual reality, mixed reality--this means business. Some things being developed in virtual worlds have potential use in "real world" businesses. 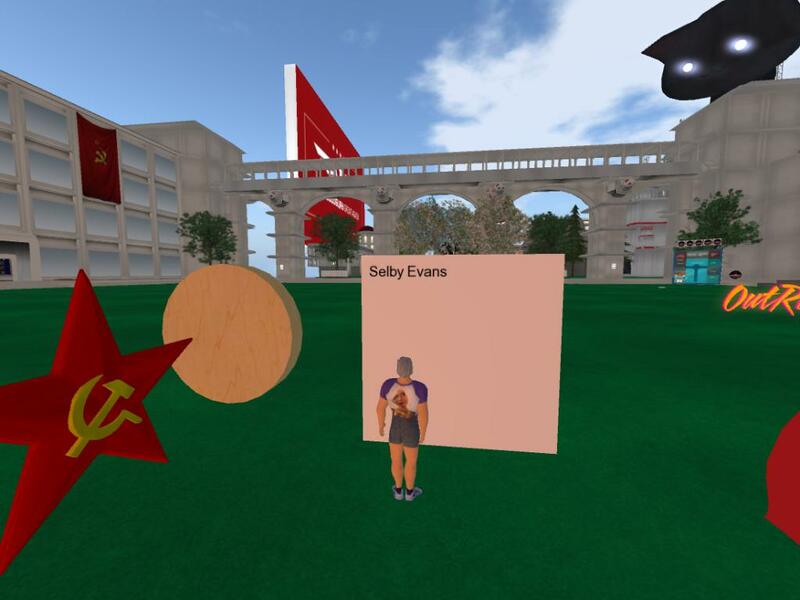 For these things to be useful to most businesses that work with the general public, virtual worlds need to be portable, much easier to use, and specialized for particular tasks. Opensim software is well suited to that kind of future development. This report notes some potential applications and offers preliminary suggestions about the specializations that might be needed. Developing and customizing Interior design. Designing and selling designs for stores and malls. Designing and selling landscapes and gardens. 2016 EDU: History Hub in Kitely: The age of steam begins: Liverpool-Manchester line. The first railway to rely exclusively on steam power. No photographic, only architectural records. But this reconstruction in a virtual world shows about what in must have like. Go there, walk around, ride the shuttle from Liverpool to Manchester. History is not just for reading any more. Packhorse, stagecoach and canal boat were the only way to travel and move goods a significant distance, albeit slowly, until the Liverpool & Manchester Railway Company opened its office in Dale Street, Liverpool. The Woodbury clan is moving into Kitely. They are skilled creators who keep building and so keep needing more space. The metaverse tours came by a few weeks ago and they were happy to show us around. You can't overlook a cat, but a cat this size can overlook you. Planning for the future OSHG. A discussion of HG security. The shift by MOSES to the Halcyon branch of OpenSim has major implications for hypergrid. A recent discussion in OpenSim Virtual helps to clarify the issues. Here I summarise and comment on the issues, then provide a copy of the original content. The military is seriously concerned about the security of the hypergrid. Main military concern is "unauthenticated access to databases." Grid operators and content creators may need to be concerned also. Mike Dickson, in particular, is concerned. The military has also had problems getting its patches accepted by core. The lost gardens of Apollo. OSGRID celebrates its 9th birthday. The Hypergrid community gathers to join in. See the video. Moses diverges from the OS Core. The MOSES project announces new plans for its future, with a shift to the Halcyon branch of OpenSimulator. 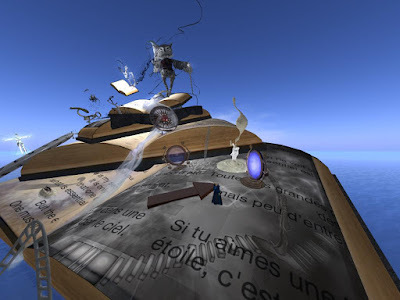 The Halcyon branch is based on code newly released to open source by Inworldz. The Halcyon branch may offer important advantages in the development process for OpenSim and some important disadvantages for the current users of OpenSim/Hypergrid..
"a professional systems engineering approach to planning a modernized OpenSimulator code base." 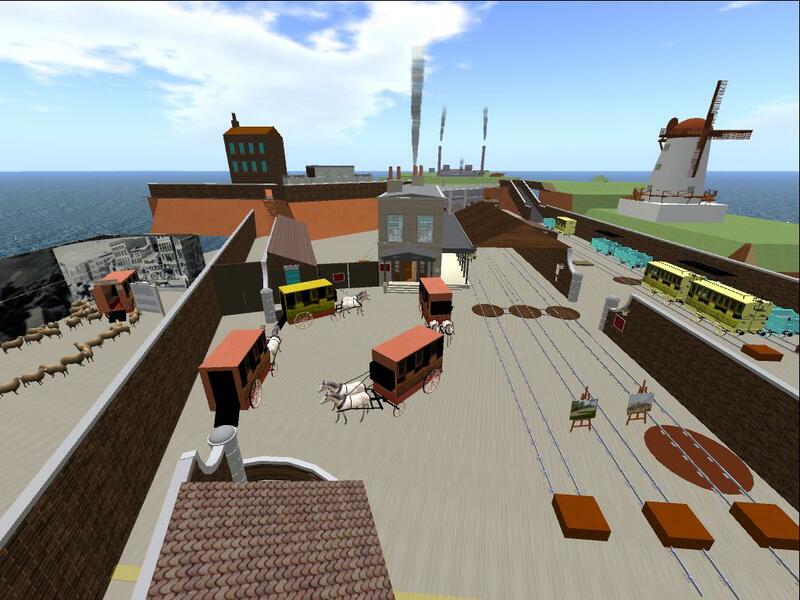 Funded development efforts from MOSES and Inworldz. Backwards compatibility with previous versions of OpenSimulator. Easy way to get an instance running on your desktop. Easy transfer of scripts from the current OpenSim. Douglas Maxwell is the science and technology manager for virtual world strategic applications at the U.S. Army's Simulation & Training Technology Center.